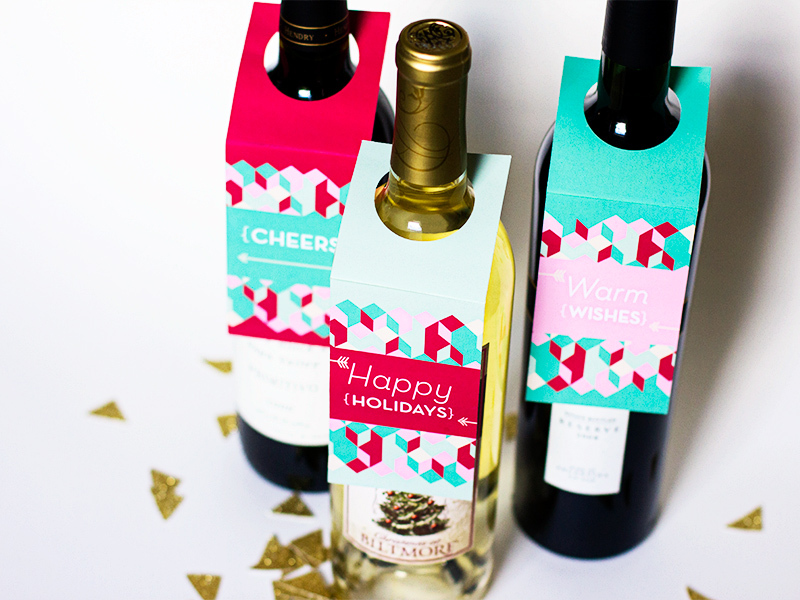 To help you get in the Christmas spirit and to help you cross one gift off your list, here are some holiday wine gift tags I made. 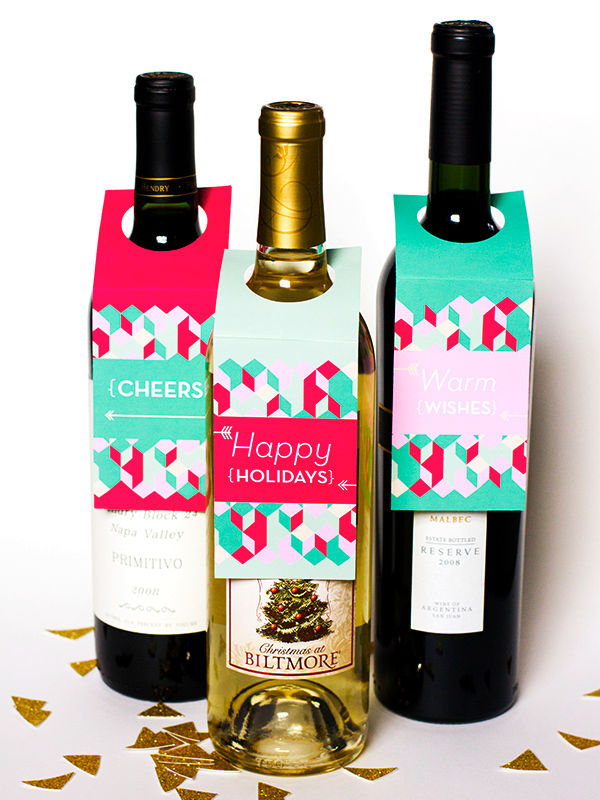 I updated my popular Thanksgiving wine gift tags with festive colors. 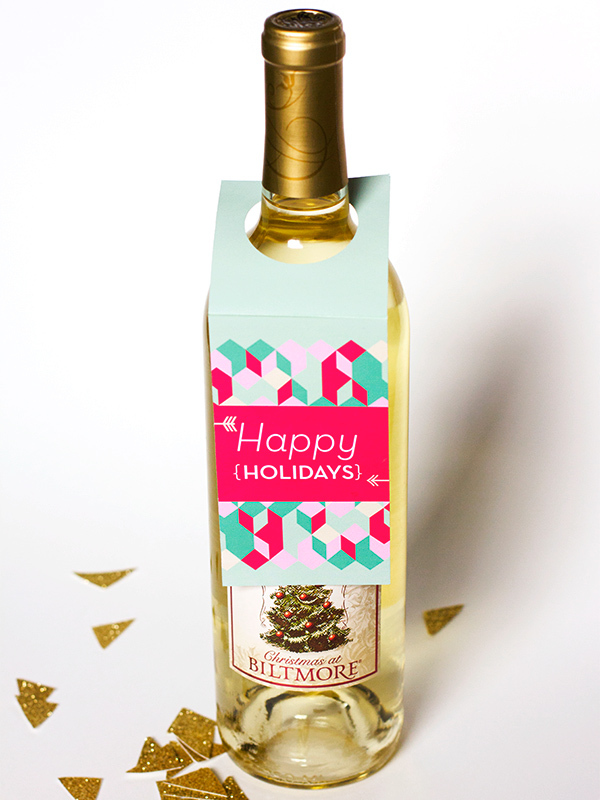 All you need to do is print them, cut the out and buy your favorite bottle of wine to gift to your holiday party host or hostess! Where are you getting the paper to print these? Hi Amanda, I used 61lb. matte photo paper that I purchased at Office Depot. I works great!